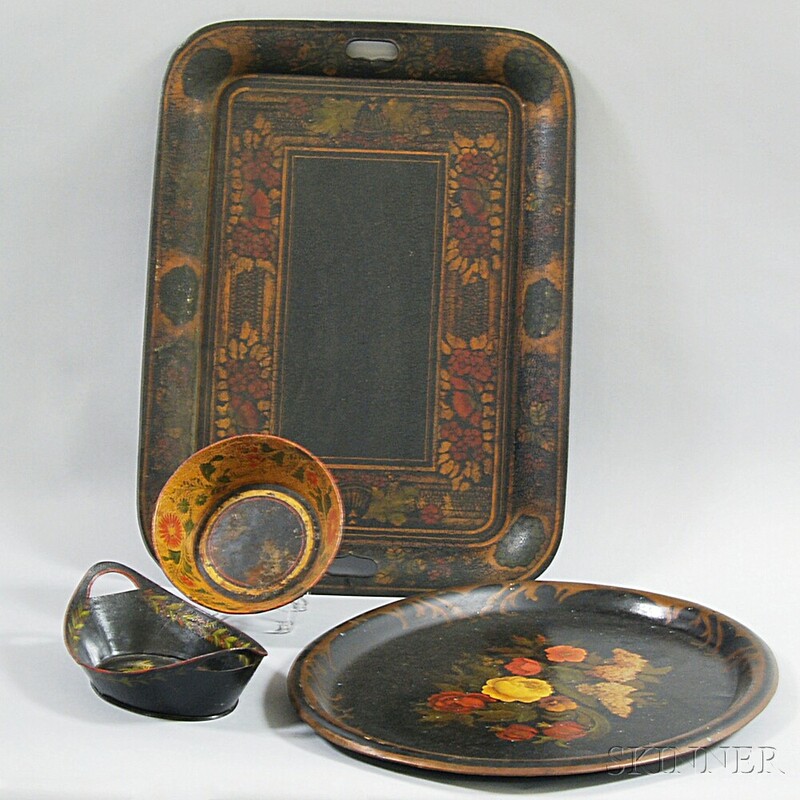 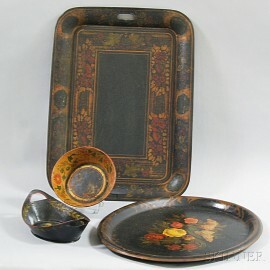 Four Tole Items, 19th century, a handled bowl, round bowl, square tray, and oval tray, wd. 26 1/4, dp. 19 in.